FYE- Hearing Aid Frequently Asked Questions? FYE – Hearing Aid Frequently Asked Questions? To turn the hearing aid on, close the battery door. To turn the hearing aid off, open the battery door. It is not necessary, but not harmful, to remove the battery completely from the hearing aid. The squealing that you or those around you hear is called feedback. 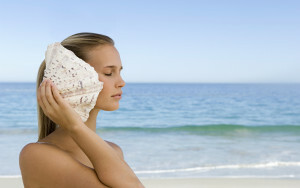 Feeback may occur because something has changed with the way the hearing aid fits in your ear. This can be because your hearing aids need to be cleaned, your ears have accumulated debris in the canal, or your ears have grown (your ears continue to grow as you age). Hearing aid batteries have a positive and negative side, just like any other battery. Generally, there will be a red (+) sign on the battery door indicating the positive side should be up. The positive side of a hearing aid battery is flat and has a (+) sign on it. Why do I need to open the hearing aid battery door at night? Even with the water resistance capabilities of modern hearing aids, we recommend you remove your hearing aids prior to any aquatic activity, unless they are waterproof hearing aids or water resistant hearing aids. How do I clean the vent on my hearing aid? What does the button on the back of the hearing aid do? If there is a button on the back of your hearing aid, it is there to select between different listening programs or environments. The average hearing aid lasts between 3 – 5 years. You can buy an extended warranty from Discovery Hearing Aid Warranties or other hearing aid warranty providers. The beeps can mean a variety of things. Beeps can indicate that a battery is getting low, that the hearing aid program is changing (when you push the program button) or there are changes to the volume. If you are unsure of what the different beeps mean, check with you hearing care provider for more information on specific beeps, or refer to the User Guide that came with your hearing aid. It is possible to hear a whistle when putting a hearing aid in your ear. If should not, however, whistle when it is in place in your ear. If it does, make an appointment to have your hearing aid checked. There are a couple of things to check before making an appointment with your hearing care provider. Make sure the hearing aid isn’t plugged with debris or wax, preventing sound from coming through. If you look at the ear dome and it is plugged with wax, gently remove it from the opening (BTE)or replace the wax filter (RIC). If none of these things solves the issue, make an appointment to have your hearing aid checked. Will wearing my BTE or RIC hearing aid interfere with my glasses? No, it should not. Many people wear both hearing aids and glasses. Make sure that when you remove your glasses that you use both hands, one on each bow by your temple, and pull them straight forward. Avoid pulling your glasses roughly off to one side – this may cause the hearing aid on the opposite side to become dislodged. My BTE or RIC hearing aid has a volume control; which way do I turn it to change the volume? If you have a rotary wheel, roll it towards the top of your head to increase the volume. If you roll the wheel toward your shoulders, this will turn the volume down. If you have buttons on your hearing aid, the top button will turn up the volume and the bottom button will decrease the volume. That is the wax filter It is also refered to as an Ear Dome. It is there to prevent wax from getting into the delicate components of your hearing aid. When this becomes clogged with wax or other debris, you will need to change this to ensure your hearing aid stays in good working order. That is the vent. The vent allows for some sounds to enter your ear naturally as well as provide ventilation for your ear canal. Natural ventilation is important because it prevents the ‘plugged up’ or occluded sensation you would get if your ear was completely closed off with the hearing aid. Yes, the O-Caps and T-Caps used by our Bliss and Charm custom styles are easy to replace by either the hearing aid wearer or the hearing care provider. Replacement caps can be ordered from your Sonic provider. What is the tiny clear antenna-like thing on my hearing aid? Rotate the volume control wheel forward/towards your face (when worn) to increase volume; rotate the wheel backwards/away from your face to decrease volume.